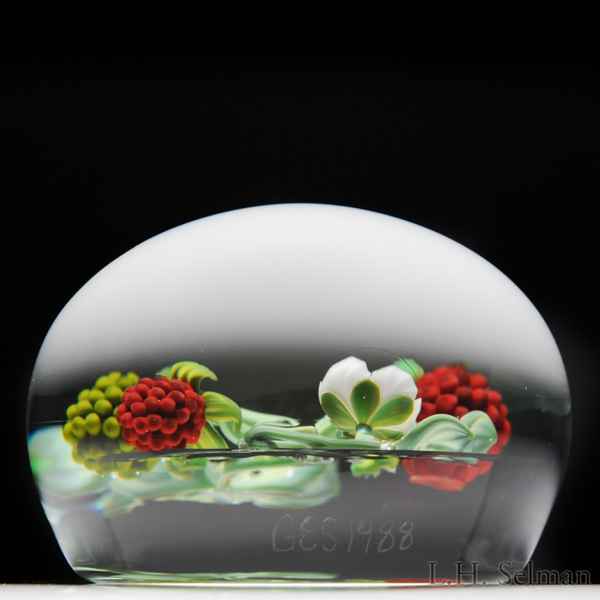 Gordon Smith 1988 raspberry bouquet paperweight. Two red raspberries and a small green raspberry prepare for harvest amidst trios of pale green leaves, while a defiant white blossom attempts to prolong the growing season. Clear ground. Signed/dated. Diameter 3 1/8".